Here is your chance to get into a BRAND NEW HOME in Warwick for an unbeatable price! This home has been totally rebuilt from top to bottom, includes an extra lot, central air, brand new hardwoods and wall to wall. Everything is new and ready to move in. This is a perfect starter or empty nester home. 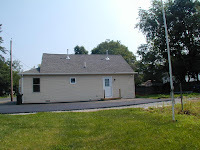 It has two bedrooms, storage in the attic, a laundry area with closet space, vinyl sided, new roof, all new everything! You cannot go wrong, there is absolutely nothing to do but move right in. Don't wait, email me now! Click for Virtual tour of this home. I do not consider myself particularly tech savvy. I can spend hours and hours looking up different things and ways to do things on the web and then promptly forget them as soon as I start something else. However, I do have a blog or two or three:) Does this make me ahead of the game? Don't know. I believe that in the near future, blogs will be as old hat as emails and we will be on to something new. Meanwhile, there are so many things I can use my blogs for as a Realtor. One, I can upload photographs and listing information that can be read instantly worldwide! That alone is a major tool for a Realtor! Two, I can write whatever I feel like writing any time I feel like writing. Three, I can have as many blogs as I want. One for every little interest. I could even have one for every listing if I wanted to. Four, I can publish an invitation to all my friends via one of my blogs and they can all respond instantly. Blogs are almost better than email, except they are not private. I can also share photos, link to other blogs or websites or quotes, the list is endless. I seriously do not know how I existed before blogdom! Please take a moment to puruse my listings on this blog and email me if you have any interest. 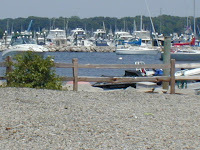 Also, if you are looking to buy in Rhode Island, drop me a line or comment here, if you like.